Roger Waters will be performing The Wall in North America at the end of 2010, and all confirmed dates are shown below. The band includes Snowy White and Dave Kilminster, and an all-male backing vocal. Promised is state of the art staging, with the focus being a 240 foot wide by 35 foot high wall, which is constructed (and demolished) during the concert, and new, crystal clear projections and redesigned inflatables and puppets. 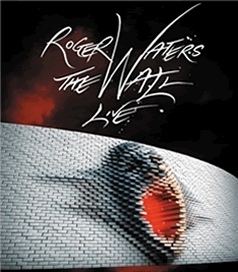 These incredible shows form what is expected to be Roger's last tour but note he is expected to perform The Wall in other countries during 2011. Also, we get emailed a lot with requests for backstage passes. We cannot get these for you, so please don't ask! This page is your ideal starting point for information, pictures, reviews and more for each of the shows Roger performs in 2010. Simply click on the show(s) that you want to know more about... as time goes on, each show page will build to hopefully provide a really comprehensive resource! All information provided is in good faith, and researched to the best of our abilities. However, we can take no responsibility for any errors in the information, and would urge you to check any vital information with the venue itself - and to this end, we provide, wherever possible, links to official sites for the venues, ticket agents, etc.. Any additional info or corrections gratefully received. BRAIN DAMAGE NEEDS YOU! We want to cover the concerts the best we can, to share the experience with everyone, especially those who won't be able to attend the shows. We welcome your comments about the show(s) you have attended, ANY pictures (official, professional, newspaper and unofficial), tickets scans, posters, reviews, newspaper reports, set lists and anything else you can help with. We look forward to hearing from you! We will do our best to acknowledge and use whatever you send in, but please note that it might not be possible to include everything. We may have to edit or exclude reports, or reduce the size of some pictures where appropriate. Please also note that reports will include mention of songs performed and other details of the shows. As with any contribution from others, opinions and comments made by individuals in their reviews are not necessarily the same as those held by Brain Damage. If you are going to a later show, and don't want to have any surprises spoilt, don't read the reports from the earlier shows!